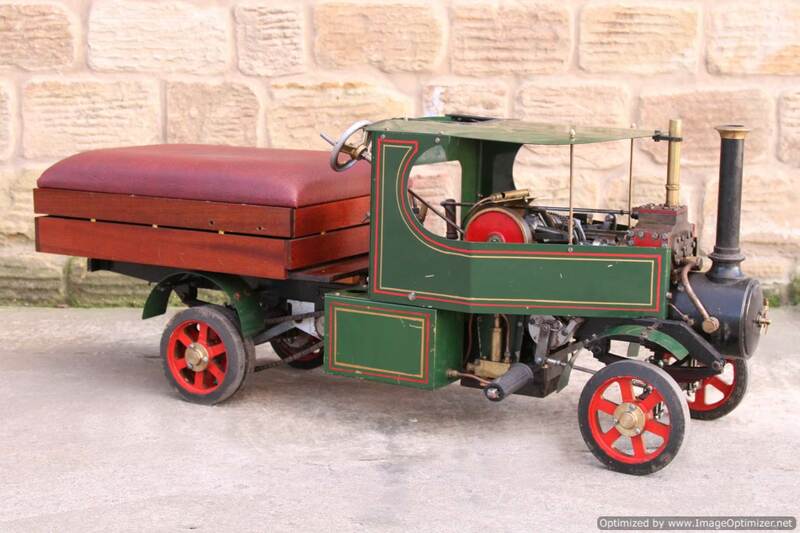 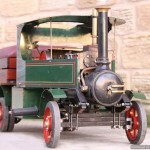 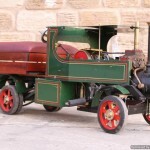 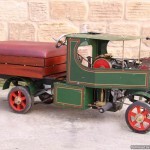 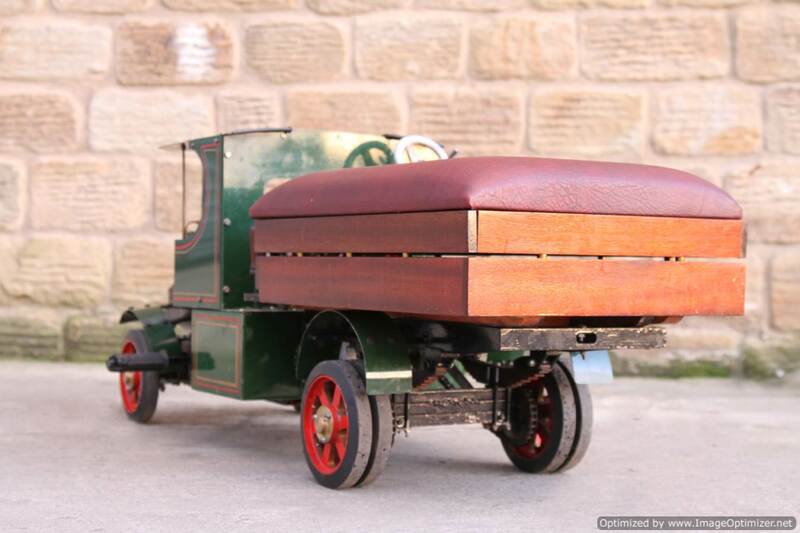 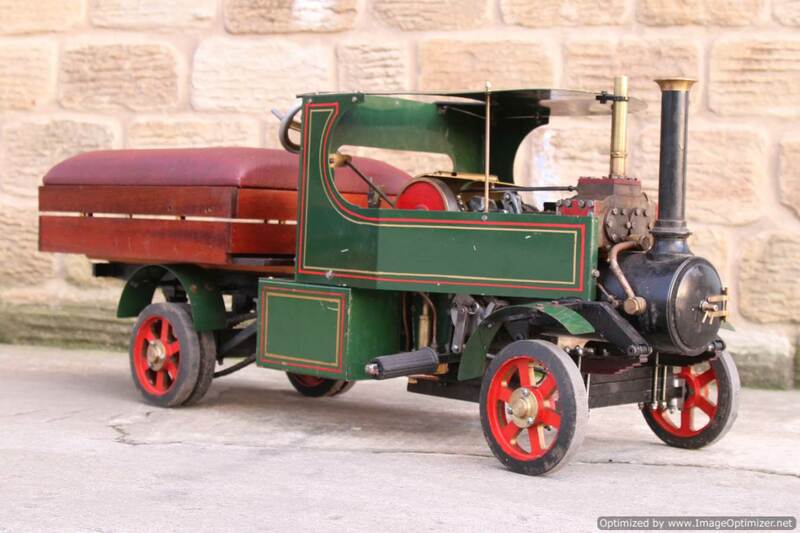 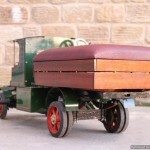 Here we have a 2″ scale Foden overtype steam lorry. 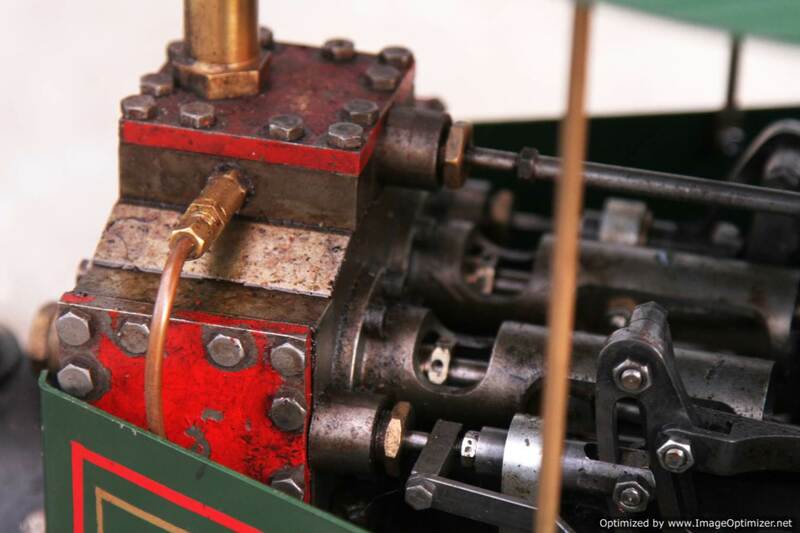 Assembled from a Modelworks kit, this has been rallied lightly until it recently came into us in part exchange for the 3″ Clayton that we had. 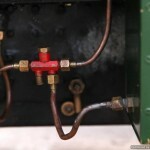 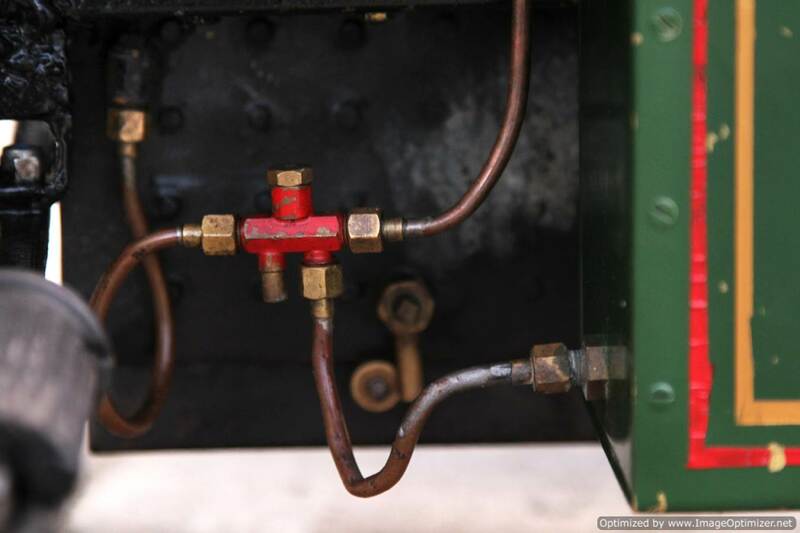 It’s never going to win any ‘style awards’, but it all works and has a good boiler on it. 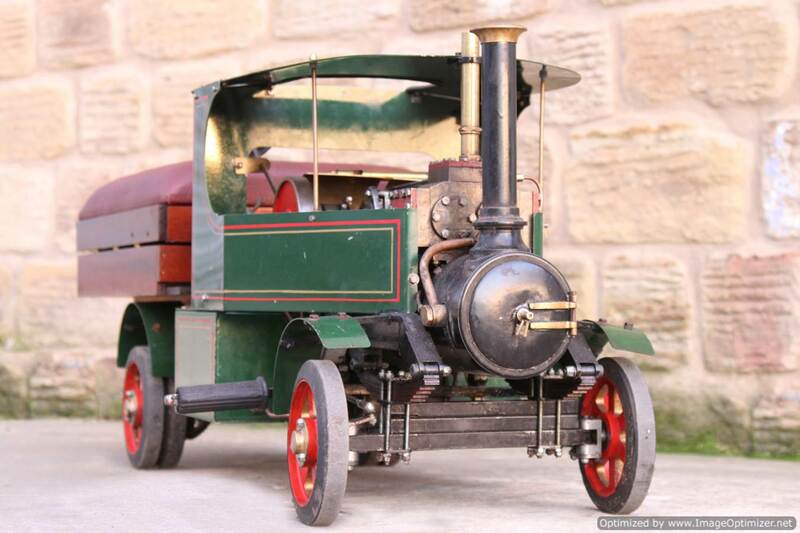 Although built from a modelworks kit, it’s been tweaked here n there to make it work, and the basic kit for the road vehicles tended to be a much more resolved model than the kits for the railway locos. 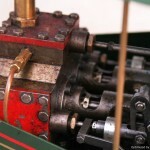 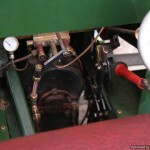 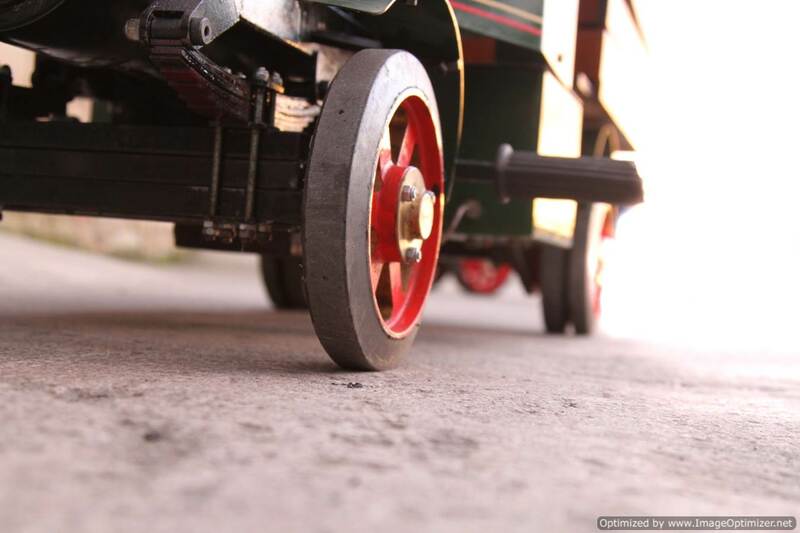 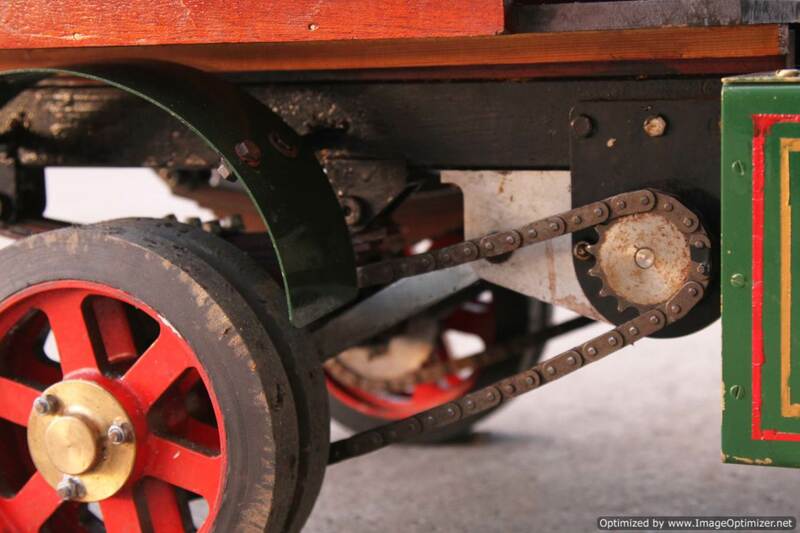 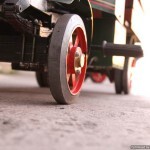 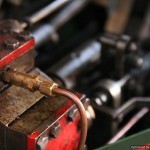 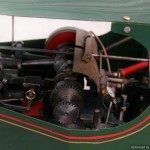 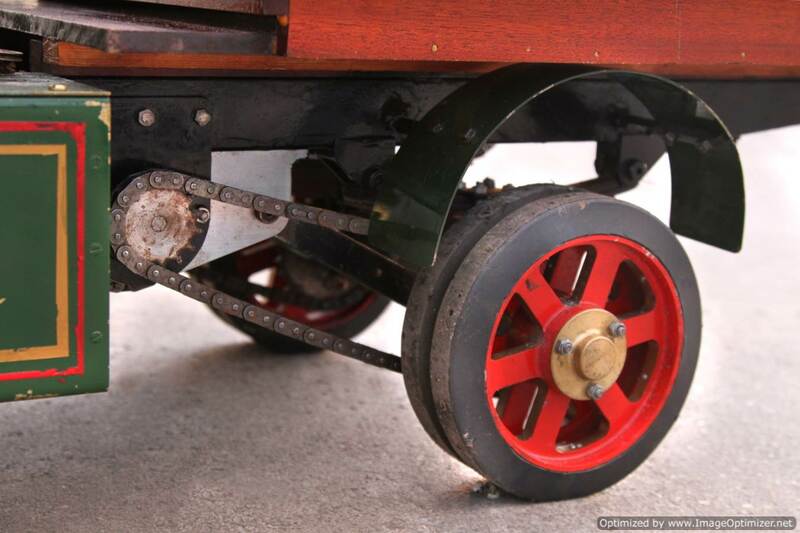 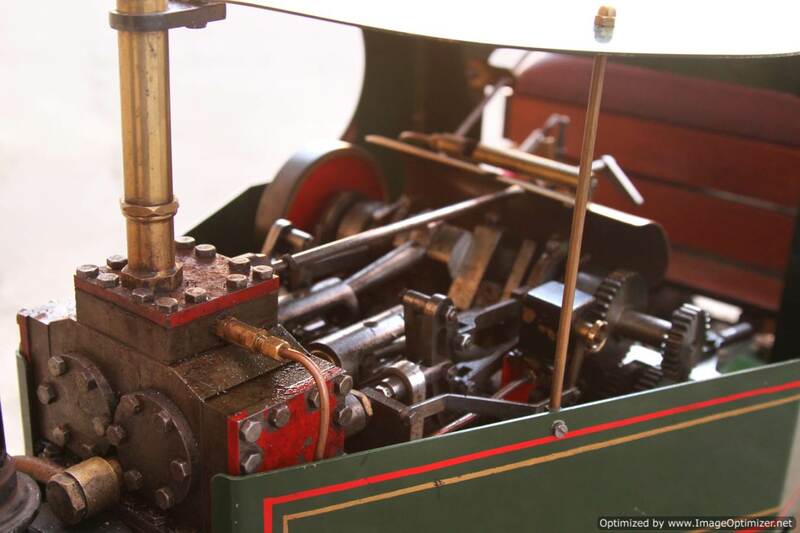 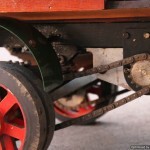 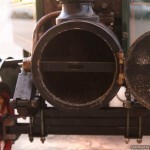 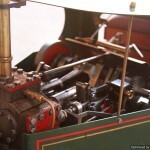 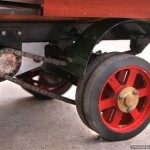 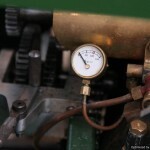 In fact the 4″ Modelworks Burrell traction engine that we had in was actually really pretty good! 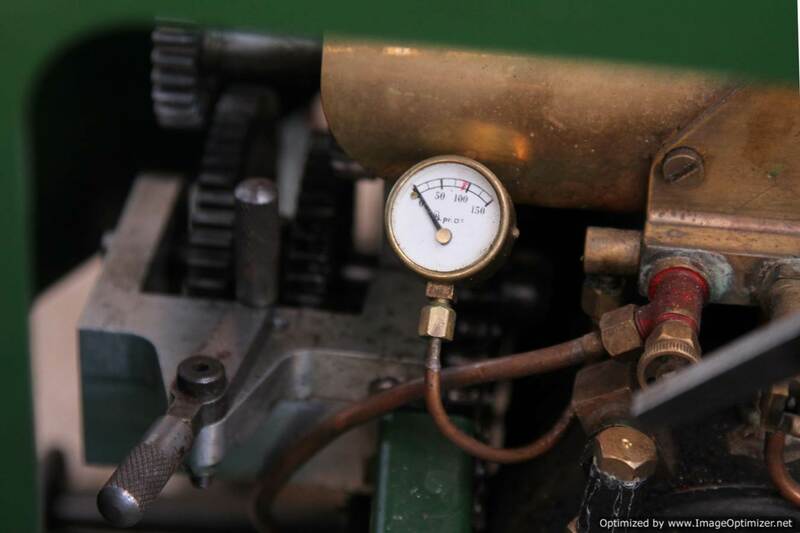 The Foden has a professional copper boiler, fully certificated, and can be given a fresh 4 year hydraulic certificate and a fresh annual steam cert so it’s ready to play. 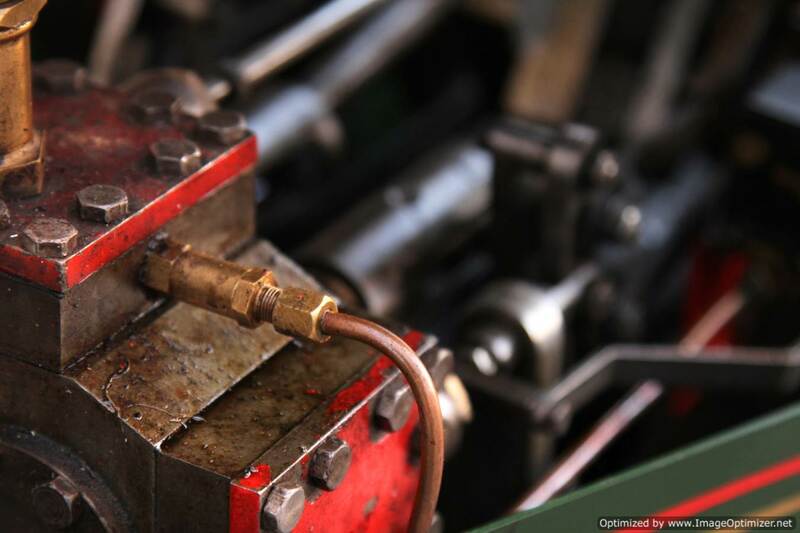 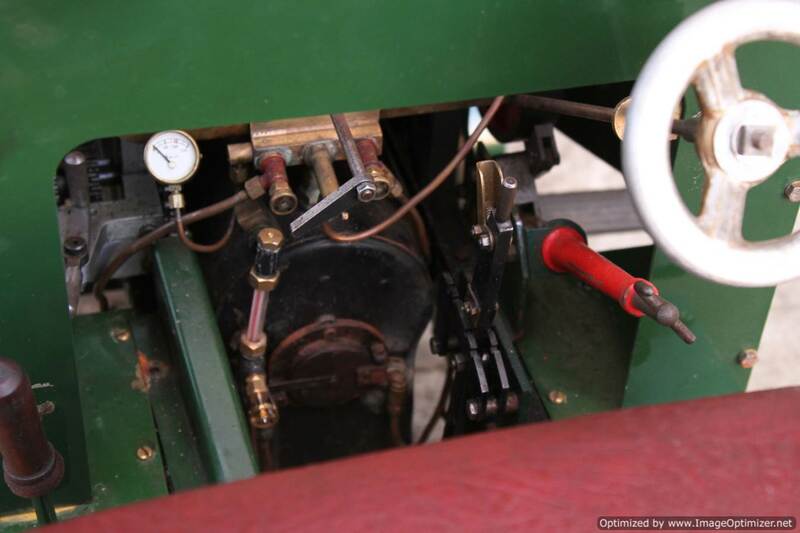 It’s fitted with an injector, a crank pump and also an emergency hand pump to get the water in, and lubrication is mechanical with a standard reservoir near the cylinders. 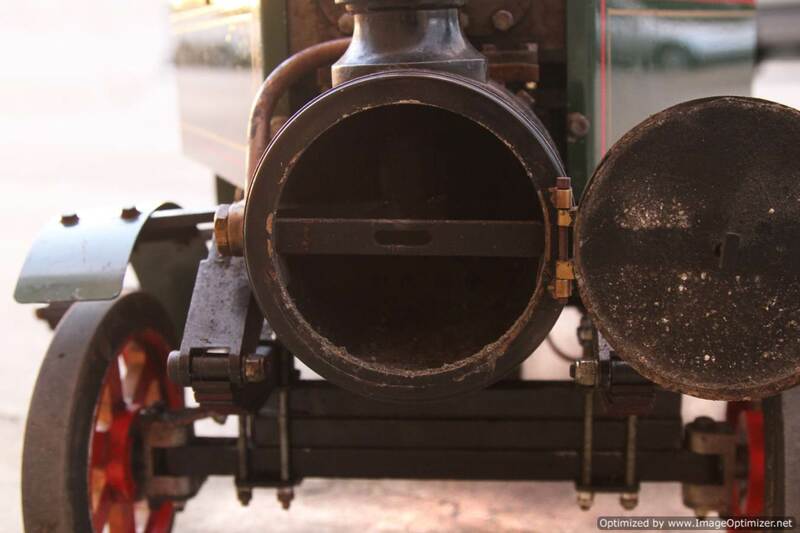 Hopefully the photographs will tell you the rest of the story. 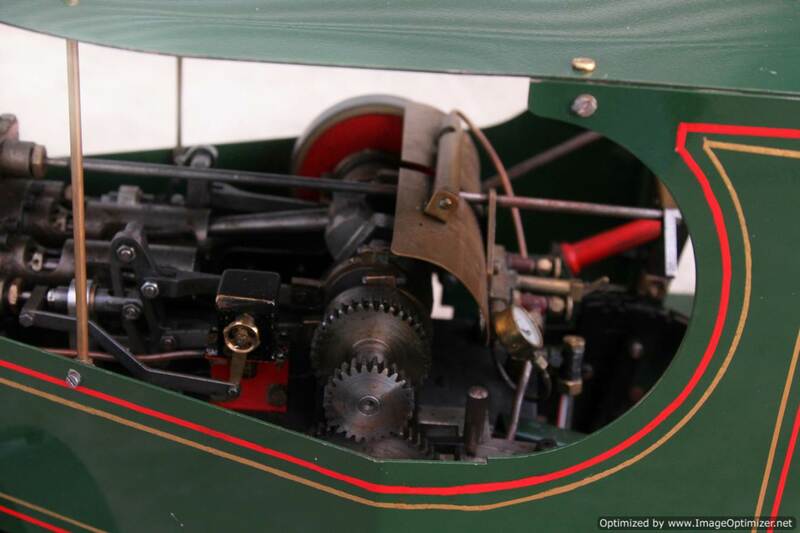 Everything works although as you can see she would benefit from a little TLC here n there!